Awesomeness For All | All kinds of awesomeness for everyone! Time for another infographic! Today I found this infographic about the White House. It’s pretty fun and interesting so check it out! Yesterday I came across this awesome site. Zeitgeist visualizes what people typed in in Google in 2010. At the Global map you can see events like the World Cup in South Africa, the Oil Spill in the Gulf of Mexico, The earthquake in Haiti,… It’s impressive to see what we ‘googled’ the most and when. You can also select other regions so you can see the fastest rising queries and fastest rising people of 2010 for your own country. It’s fun to play with, enjoy! In Belgium, this commercial has been on TV for a while. They also made one for 2009 but I’m not sure if other countries know this commercial about Electrabel. First, Electrabel is a Belgian energy corporation and it is a subsidiary of GDF Suez. They made a beautiful ‘happy new year’ commercial with hundreds or maybe thousands thea-lights! 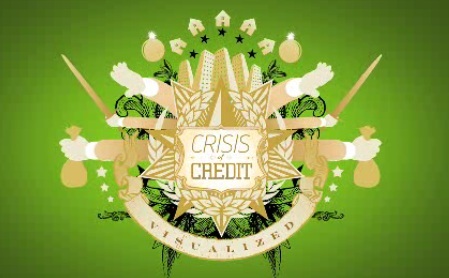 This is an awesome visualization about the financial crisis. It really shows you everything you need to know about the economic crisis in a funny, animated way! I found this awesome infographic on the internet today. Check out this awesome infographic about the visualization of the U.S. debt!